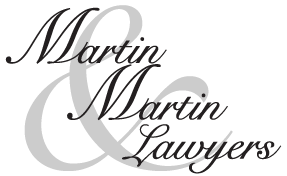 Martin & Martin Lawyers was founded in 2007 by Lesra and Cheryl Martin with over 20 years of legal services experience. We are a proud family-run, locally owned and operated law firm serving clients all throughout the Interior of British Columbia. We strive to provide excellent legal services focusing on personal injury claims, estate planning, real estate transactions and family law. We are passionate about what we do, no matter what case we take on! Visit our website to book a meeting with a member of our legal team today.